The city is a treasure chest of glittering domes, baroque palaces, and elaborate churches. Over the next two days, immerse yourself in the city’s cultural immensity. The Hermitage alone could overwhelm you. One of the world’s great museums, it houses works by Titian, Dutch, and Flemish masters, Michelangelo and Matisse, and the Peacock Clock. 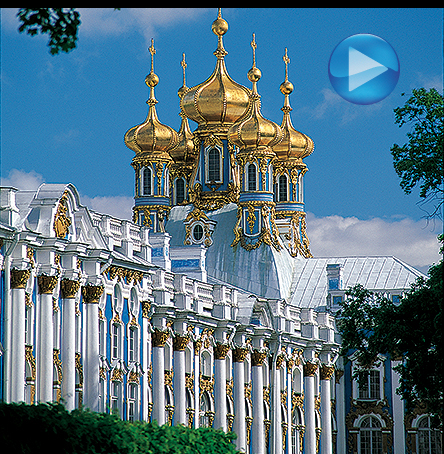 Ensconced in Catherine the Great’s Winter Palace, the museum is as evocative as its collection.